Gone are the days of scheduling home electronics to turn on and off with timer switches and wondering if something isn’t working properly. Z-Wave products allow you to remotely control your devices with your mobile device so you can randomly turn on electronics as well as monitor other activities going on at home or office. Monoprice offers a wide selection of Z-Wave products to help make your smarter. Pair them with RBoy Apps to control the devices below. This Wall Socket Plug-in Receptacle with 2 USB and 1 AC Port monitors and manages energy consumption to reduce costs. This product is a Z-Wave® switched AC plug-in adapter. AC power can be switched on or off remotely or manually with a button on the plug. It can report the voltage, amperage, power consumption and energy consumption. It also includes two USB ports, one capable of 1A of charging power and the other capable of 2.4A of charging power, so you can keep your mobile devices charged without using another AC power socket for a wall charger. As an AC powered Z-Wave device, this Plugin will act as a Z-Wave repeater (supporting FLiRS). This Plug-In Power Monitor can be operated remotely or directly, using the Switch on the device. 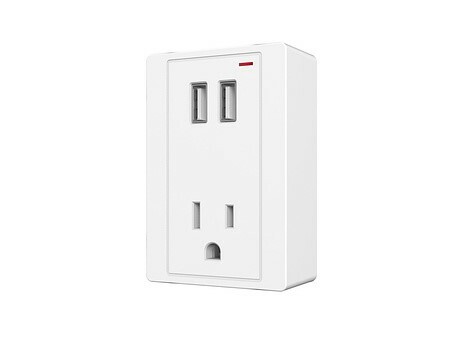 It plugs into a standard NEMA 5-15 power outlet and includes both a Z-Wave controlled outlet and standard, unswitched outlet. It is designed so that when it is plugged into a standard two-plug wall outlet, it will not block the other power socket. In addition to controlled switching, it monitors energy consumption and can report consumption values in several common energy scales. As an AC powered Z-Wave device, this Plugin will act as a Z-Wave repeater (supporting FLiRS). 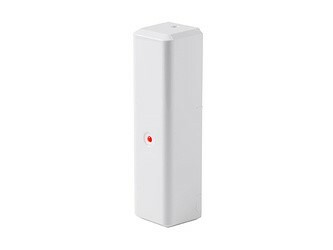 This passive infrared (PIR) 4 in 1 Motion Sensor detects motion and sends a Z-Wave® trigger signal to the network. It also features temperature, humidity, and light sensors, which will automatically report changes in the conditions and will report the absolute values when queried. It has a tamper-proof switch, which will trigger a Z-Wave signal when the cover is removed. 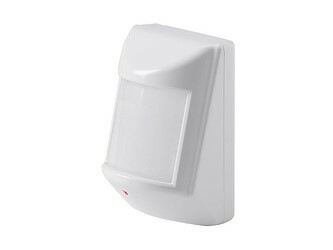 The Door/Window Sensor is a Z-Wave plus device that mounts to a door or window, detects when it is opened or closed. It also has a tamper-proof switch, which will trigger a Z-Wave signal when the sensor’s cap is removed. The Mounted Sensor also has an option for external triggers which can be wired to the device. 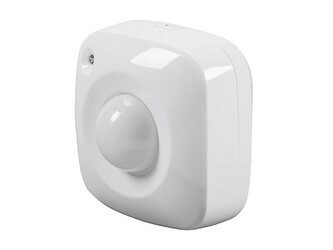 This passive infrared (PIR) Motion Sensor detects motion and sends a Z-Wave® trigger signal to the network. It also detects changes in temperatures and reports the temperature to the network whenever a significant change has occurred. It also has a tamper-proof switch, which will trigger a Z-Wave signal when the cover is removed.